I feel silly for not finding this earlier but since I know about it now I have to share it with everyone else. Pretty much every PowerPC Mac runs off an ATI Graphics card. The graphics card help process things on screen. And are really needed for things such as Video playback, Games, etc. Right now your Graphics card is set at it's stock Core Clock ( Speed ) and Memory ( Amount of Video memory - like ram but for video). 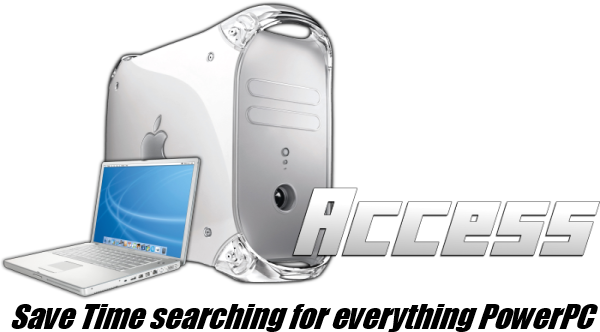 And with PowerPC Macs growing older and older you obviously might not be getting good performance. So what ATIccelerator II lets you do is Overclock or Speed up your Graphics card to run better. So download it it [ Link on top of the page ] and it installs via package, not drag and drop into applications, once it installs restart your mac, if it doesn't do so automatically. Then when you boot back up open > System Preferences > ATIccelerator. Which is the only place ATIccelerator will be located. As you can see it lets you easily adjust the Speed and Memory. No when doing this you will see that it shows how much percentage you are upping your card. Never go above 50% unless you know your card can handle it. If you go to high you can break your video card. Which on a laptop will pretty much render everything else useless. Slowly go up percentage till you find one that doesn't make everything super hot, and were you can see a noticeable increase in performance. You can also donate on his site which I urge you to do. Is there anything like that for NVIDIA cards? I have a Quadro on my G5. What settings do you reccomend for my Radeon 9600/9700? I don't know if this program works on mobile gpus, but i would put it under full load, and then keep bumping the overclock up by 50mhz until it gets to hot. Afternoon all! I've been playing around with this software for a few hours, but doesn't seem to actually work with the 9550 in my A1133 12" G4 iBook. I've even raised the Clocks by 100% on both but nothing seems to happen performance wise. Strangely enough, @ 100% on the memory Quake 3 gives me artifacts; apparently something is working there.. But I'd have thought I'd seen even a 1% increase in the benchmarks I've used. I'm not sure if it's that I'm using 10.5.8, or something about my system. Everything I've seen leads me to believe that the 9550 in my A1133 *Should* work with the software. i have a similar problem to it.. i Ended up overclocking the graphics cars up to +134.41% which brings it up to 490.50 MHz. But when i tried overclocking it to 500 MHz and doing a benchmark test it freezes the system... so it is doing something.. but i don't seem to see any large increase in performance... but it does do something when i clock it high.... i got it up there slowly if i just force it then it just freezes but it's doing something but not a super large increase in performance like i said.. Or heat.